Home › Featured › How Clean Is Your Bathroom? 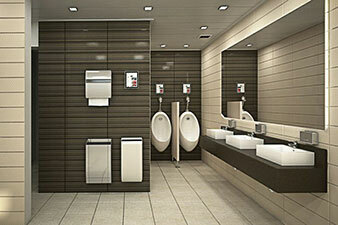 The bathroom tends to be one of the most overlooked areas in a business. This also makes it one of the most telling places. Your bathroom tells a lot about how you do business. The bathroom represents the attention to detail. Is it clean? Is it pleasant to be in? What about the storeroom? The coat closet? These aren’t areas that people think of as having to be presentable to customers, but it says a lot about your business if they are. If you are paying attention to all the little things, the big things are done better. If your filing system is impeccable, when a customer calls with a problem, you’ll be able to find all the information they need quickly and effectively. If your customer feels secure that the bathroom is spotless, they get the idea that so is your kitchen (in the case of a restaurant). If your outfit is impeccable, your client assumes you are a professional.